Luckily, Windows 10 and my graphics card automatically changes the resolution so that legacy resolution is centered corrected for wide aspect ratio screen. 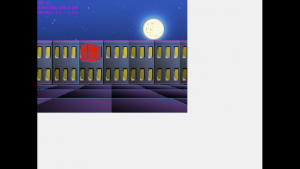 However, notice the graphics don’t scale to fit the entire screen as it would on an older operating system, despite the application being programmed to fit the window for target resolution of 640×480. You can deduce by the way it automatically scaled that it’s still proportional, and if you’re aware, new computer displays have higher density resolutions of more than 72dpi these days. 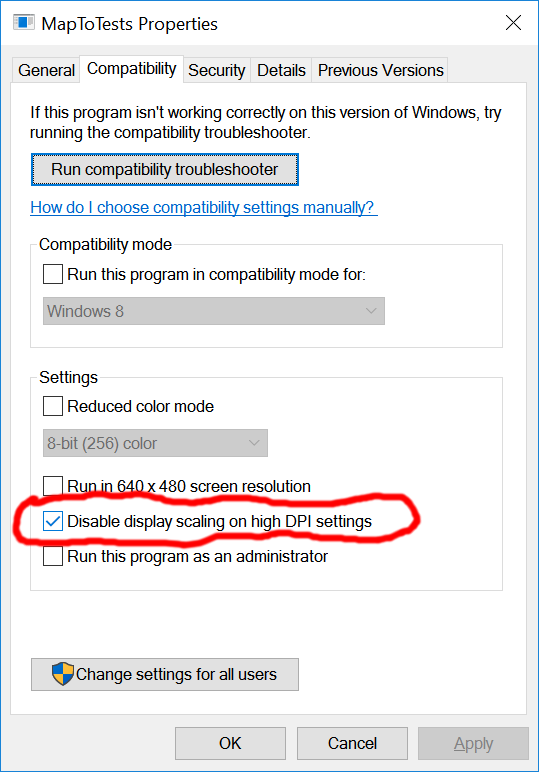 So to fix the incorrect scaling aspect ratio, you’ll have to right click on the application icon and go to “Compatibility” tab and check the “Disable display scaling on high DPI settings” in the “Settings” group. 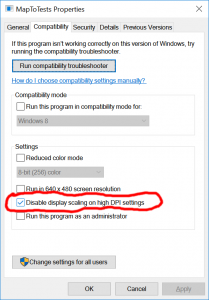 You don’t have to check “Run in 640×480 screen resolution” or touch any other setting. And that should fix it! Now, the problem with this is the end-user might not know how to resolve this when they first load your application. So you might have to deploy your application with instructions or provide a shortcut icon with these flags preset and instruct the user to click on the icon instead of the application icon itself. 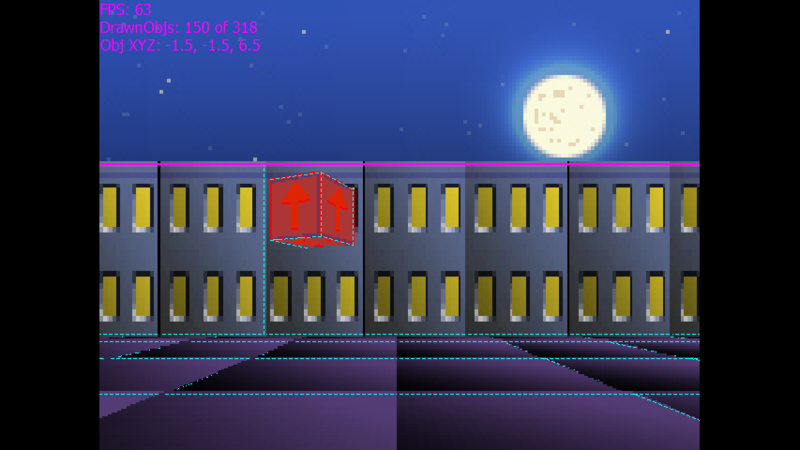 I’m sure there is a way to preset this, but I’ll have to look into it.